Today we invited the children of Oasis Haven of Love Foundation to become Little Doodlers! What a special occasion and our very first Doodle Creative Programme! Posted on August 1, 2016 May 14, 2018 by tammanyb Posted in Blogs, DoodleYourFutureTagged CreativeProgramme, DoodleYourFuture, goodnews, JustDoodleIt, Notforprofit, orphanedandvulnerablechildren, SouthAfrica, storytellingLeave a Comment on The First Doodle Programme! Doodle Your Future Sharing Good News Stories with 900 learners! 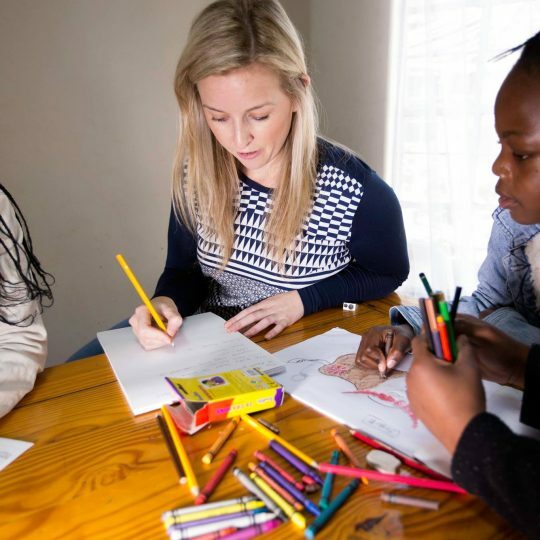 Our Mission is to provide creative and digital skills development for orphaned and vulnerable children in South Africa, through writing, illustrating, printing and distributing South African Corporate’s and SMME’s good news stories. Sign up for our newsletter and stay up to date with our Doodle projects. We are committed to the orphans of Oasis Haven.